Is CNN Philippines anchor Mitzi Borromeo leaving the network? According to several anonymous tips received by Media Newser Philippines over the last three weeks, the lady anchor of the 9 o'clock edition of Newsroom is eyeing an exit from the local CNN station as she is said to be interested in pursuing an advanced degree. 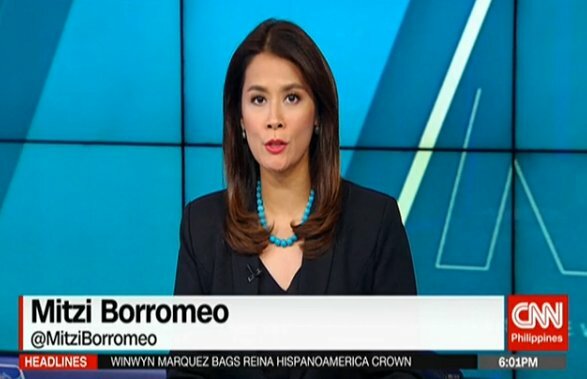 Also, as per a source familiar with the situation, who asked not to be identified, Borromeo is ready to vacate her anchor post once she gets a go-ahead from the management. "Gusto niya talagang mag-aral at matagal niya na itong gustong gawin. Marami na rin naman ang nakakaalam sa loob tungkol dito," said the source. When reached by this website, a network source confirmed to us that Borromeo has indeed expressed her plans to resign, but added that there's still an ongoing talk between her and the management. This source also added that if and when Borromeo decides to leave her current post, the network might likely keep her in another capacity. In addition to anchoring Newsroom, Borromeo is also the host of the award-winning public affairs program Profiles.